On the other side it is bounded by VIIAf and VIIAt. 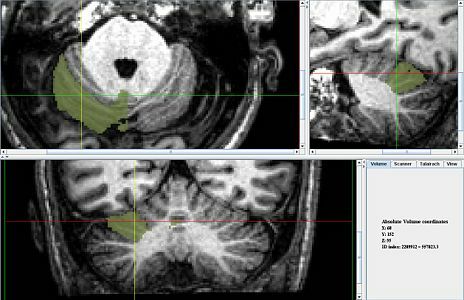 The best way to see this boundary is the begin at the mid-line of the sagittal view and travel laterally about 15mm. You should see lobule VIIAf, which is not usually present in the midline grow in prominence. 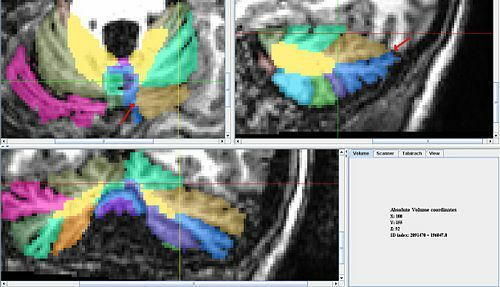 This is the second boundary for lobule VI and can be followed laterally in the sagittal view. When delineating the mid line maintain the already established anatomical boundary. This is one of the most distinct and reliable boundaries in the Cerebellum. 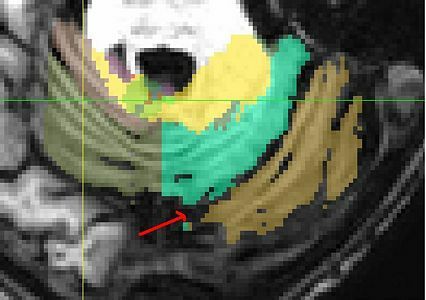 Figure 2 : The boundary between cr1 and 6 on the right (with the arrow) is particularily difficult in this brain because the scan is rather unclear and this is an ataxia subject. This page was last modified on 27 February 2012, at 13:06.